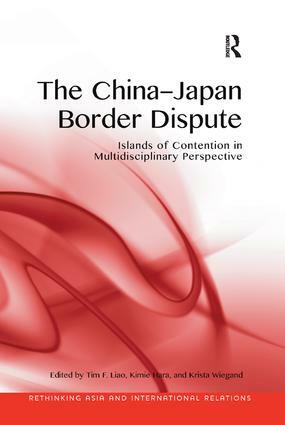 Crossing disciplinary boundaries, this volume offers a rare forum for a serious analysis of the territorial dispute over the Diaoyu/Senkaku Islands between China and Japan. To understand the complexity of the dispute and to find peaceful solutions, we must reach beyond the confines of a single discipline and perspective. The volume deconstructs conflicting perspectives on the two sides of the dispute. Territorial disputes often become symbolic expressions of nationalistic rivalries, particularly as political claims for territories escalate and economic competition for resources between countries intensifies. Cutting through the political rhetoric on both sides of the controversy and bringing together a group of eight scholars from the disciplines of history, international relations, law, political science, and sociology, this book analyzes the relevant history, international law, multilateral relations, political agendas, and social and collective memory, to shed light on this difficult dispute. Taken together, the chapters of the book propose short-term, medium-term, and long-term peaceful solutions for going beyond the impasse of the current territorial dispute. Tim F. Liao is Professor of Sociology at the University of Illinois at Urbana-Champaign, and has served as Head of the Department of Sociology and Acting Director of the Center for East Asian and Pacific Studies at Illinois. Kimie Hara is Professor and the Renison Research Professor at the University of Waterloo, where she is also the Director of East Asian Studies at Renison University College. Krista E. Wiegand is an Associate Professor of Political Science at The University of Tennessee, Knoxville. Her research interests include territorial disputes, conflict management, Asian and Middle East security, and terrorism.